There are few better sources of drama than the family, as many of the stories in this issue illustrate. If one is well advised to keep friends close and enemies closer, then perhaps one must keep family members closest of all. A death in the family often provides an occasion for changes—such as for the widow in Charles Todd’s “The Trophy” who seeks solace in the countryside of southern Wales, or the woman in Jane K. Cleland’s “Night Flight to Bali,” who is suddenly freed to cash in a forged painting upon the death of her domineering mother. But sometimes such ties can be powerful motivators—such as for the Muslim woman who hires Beijing P.I. Il yong to find the Uighur son she’d given up for adoption in Martin Limón’s “The Smuggler of Samarkand”—or sources of support and encouragement, such as Jack Tait finds in his formidable aunts as he tries to prevent a rush to judgment against a black tenant farmer in the Depression-era South in “How Lon Pruitt Was Found Murdered in an Open Field with no Footprints Around,” by Mike Culpepper. 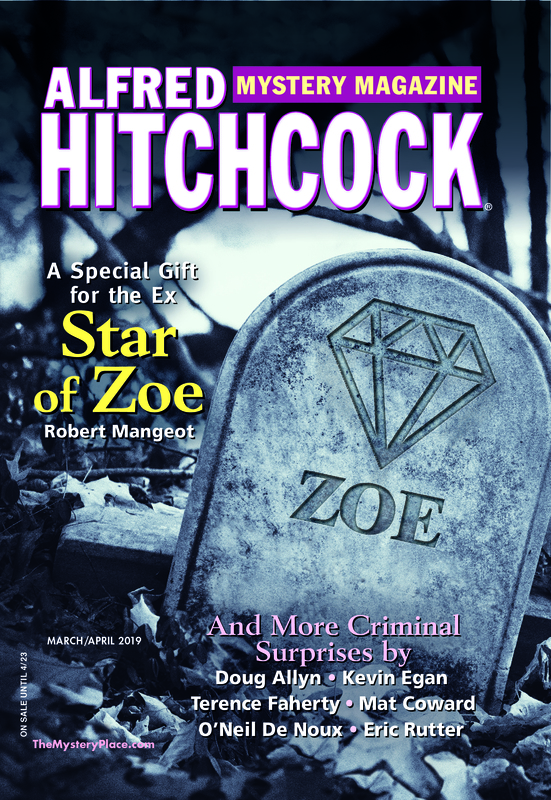 Other stories in this issue feature a perfect storm of disasters for Deputy Hector Moody when his car breaks down in the Gallatin mountain range in David Edgerley Gates’s “Cabin Fever”; the outsized dreams of a mid-level accountant in Max Gersh’s “Self-Portrait”; a copyeditor using her wits to foil an e-mail scammer in Steve Hockensmith’s “i”; a volatile partnership between a writer and an actor in Janice Law’s “The Front Man”; an aging spy recalled to action in Michael Mallory’s “Aramis and the Worm”; Dr. John H. Watson encounters a gentleman with a strange health regimen in “The Vampire of Edinburgh” by James Tipton. No matter the state of your relations with other relatives, our readers are valued members of the AHMM family.